It's pretty much common knowledge by now that X-Men vs. Street Fighter pirate uses music directly from Street Fighter II, and that the Pokemon platformers use music from Bonkers. But there's another sound engine that seems to show up in pretty much every pirate that uses semi-original music. Turns out that it, too, is from a Capcom game-- namely, Super Pang, a.k.a. Super Buster Bros. This one's used in Pokemon Stadium, Tekken, and that Super Big 2 game that I saw on NicoVideo a while back. Pokemon Stadium and Super Big 2 both use a fanfare from Super Pang; it's track 28, "All Clear", in the music rip from SNESMusic.org. The sound effects are identical too. And of course, the pirates actually apparently re-coded the Gravity Beetle theme from Mega Man X3 for the Super Pang sound engine; it's not ripped from MMX3 at all. Seriously, what. ...Y'know, I just realized something. There's a certain other unlicensed developer that was rather famous for writing original music using a sound driver stolen from Capcom. 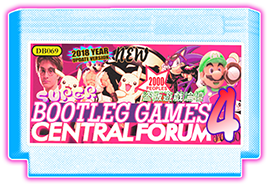 And we have reason to suspect, thanks to that one guy's Chinese forum posts, that they might have developed SNES games before becoming vastly famous (see what I did there?) on the Game Boy. Hmm. It does make you wonder. im wayyyy too tired to compare but i wonder if the Gravity Beetle theme is the one from the Mega Drive Rockman X3 port? maybe if it was made by the same developers they just found it easier to take their own version and port it to the Super Pang sound engine rather than ripping it out of the real X3. but yeah, i do wonder about the Vast Fame connection. there seems to be a definite thread running from Chuanpu's MD stuff through these SNES games to V.Fame. and since a lot of the same people seem to turn up in credits for Chuanpu and V.fame games its reasonable to assume they were doing *something* between 1996 and 2000ish. What I don't get is if V.Fame apparently started making games in 1999 and the SNES Pokémon Stadium pirate uses that Gravity Beetle theme remake, given that the official N64 game wasn't released until 2000 (not counting the Japanese version as that uses a different name) then how would they be making games for both the SNES and Game Boy Colour at the same time? i dunno, why wouldn't they? lots of developers make stuff for multiple consoles at the same time. Pokemon Stadium could have been made anytime after the Japanese version's release in '98 anyway, it doesnt use the official English logo or boxart in-game anywhere. Taizou i think there is no point in saying it was made after pokemon stadium on the n64. Because i think it was made first and then the official game was in development shortly after the sega mega drive game started. Codeman38 there is a point in using the same sound driver because it reminds me of mighty final fight for the nes by the same company.